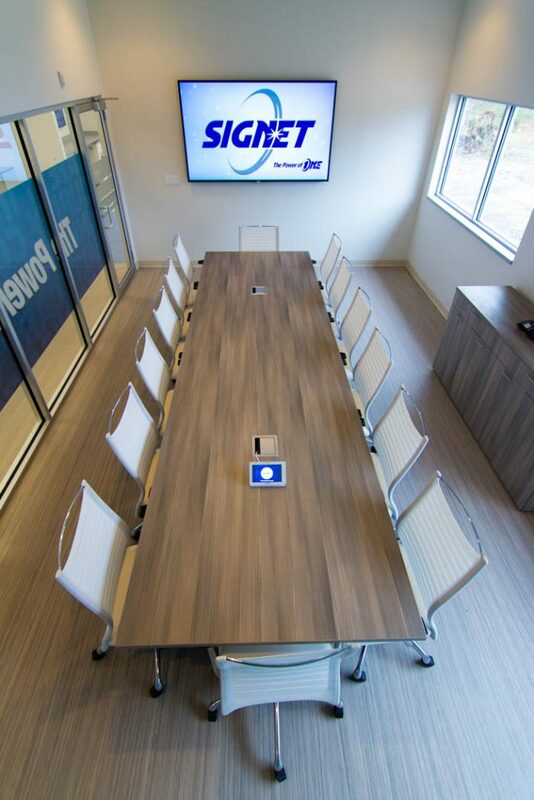 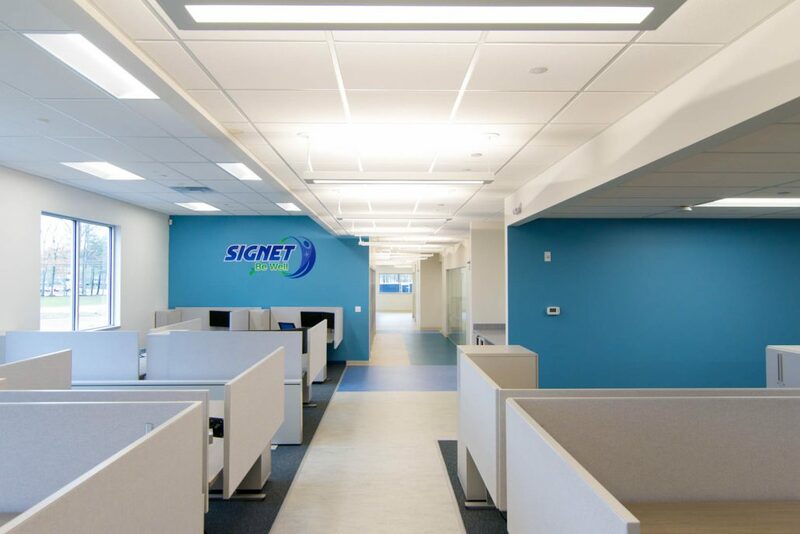 SIGNET partnered with Callahan/Hoffman Company, Inc., to engineer and build out the $2 million renovation. 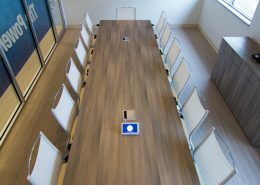 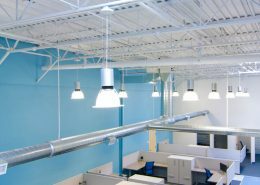 The project was handled on a design/build basis, which is very cost and time effective. 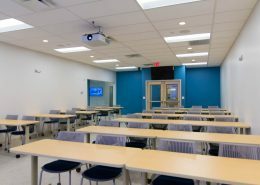 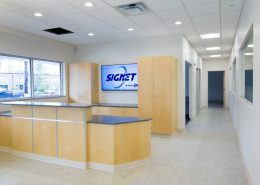 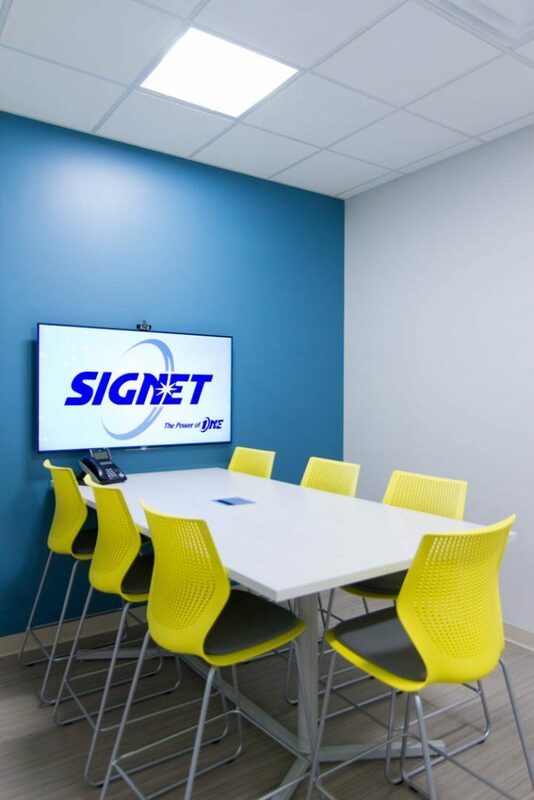 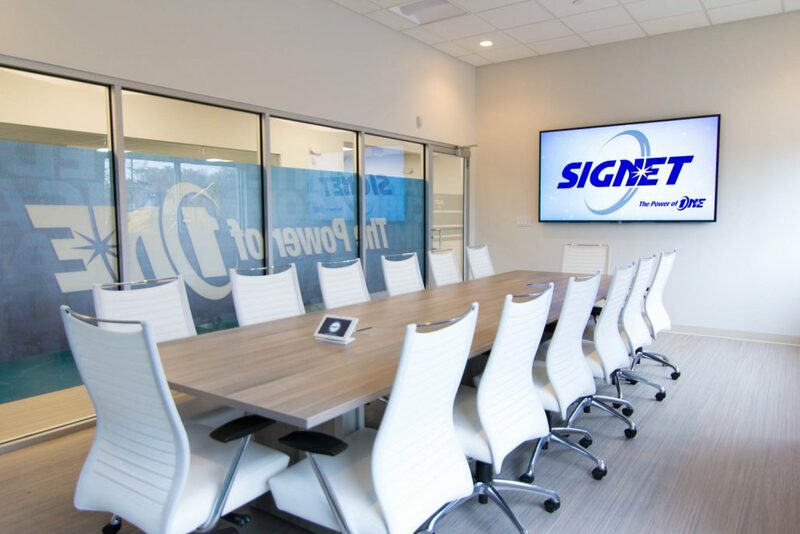 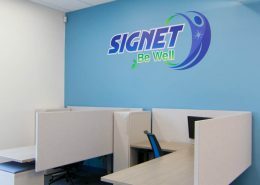 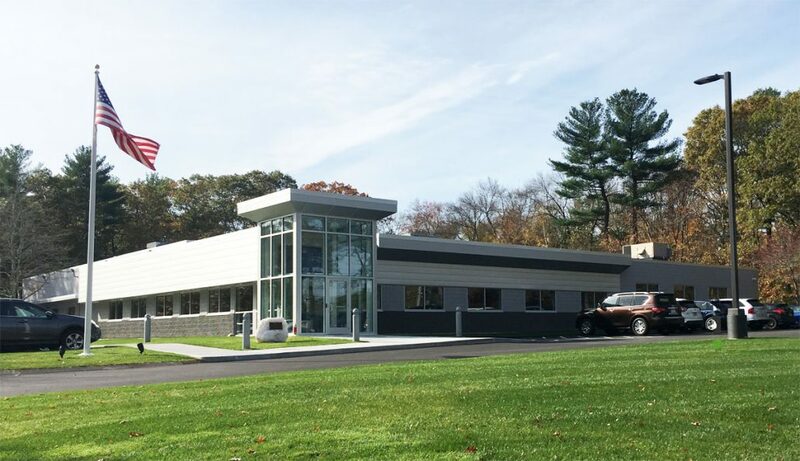 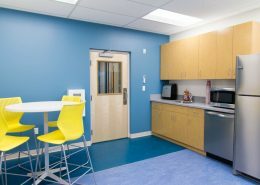 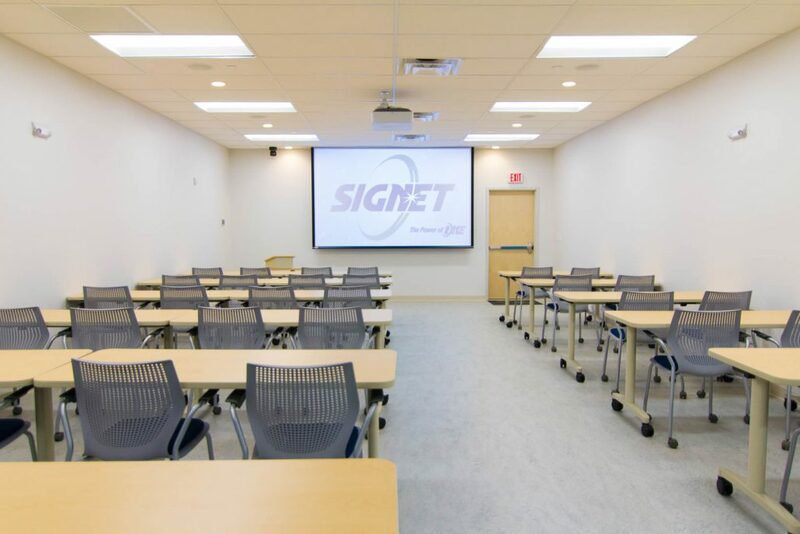 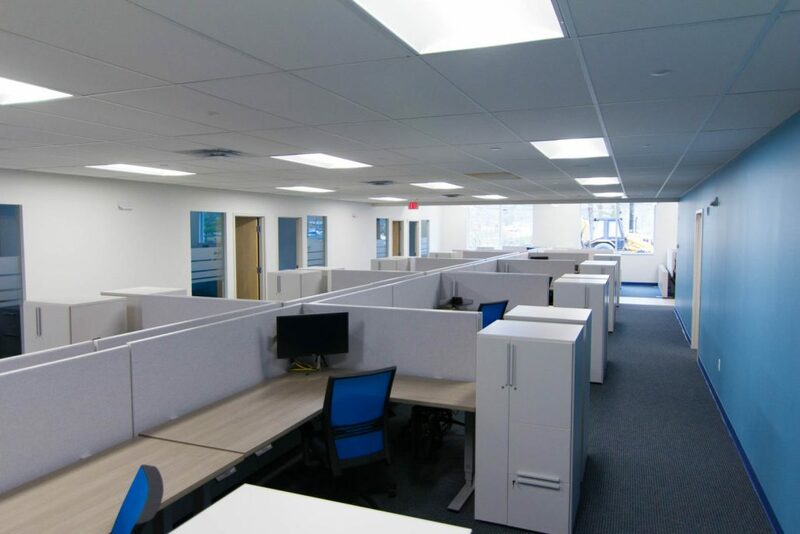 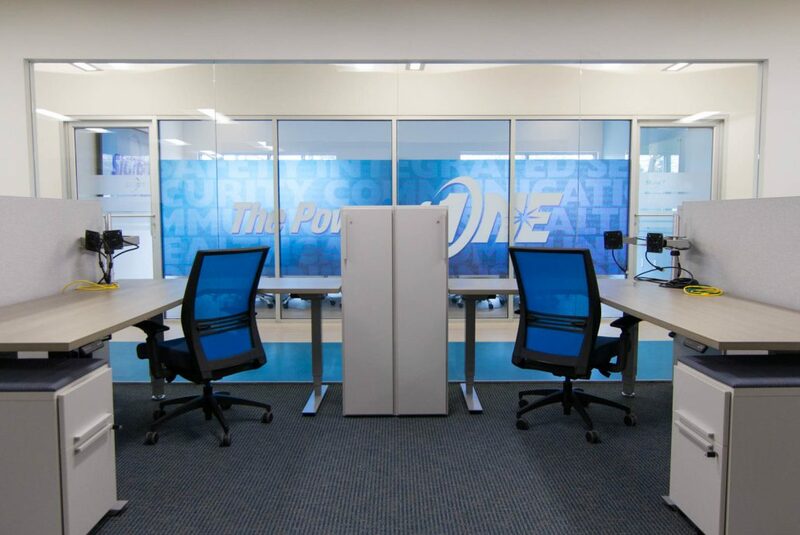 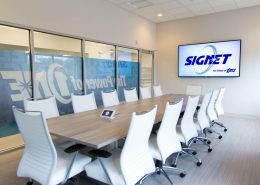 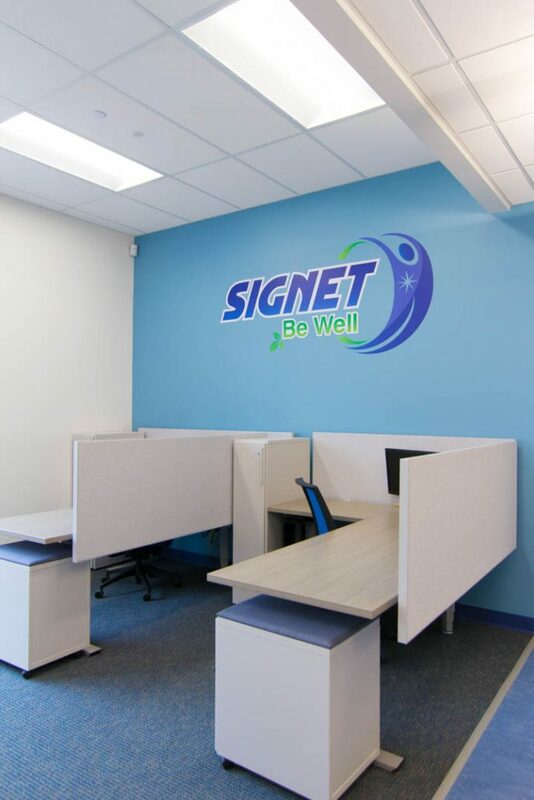 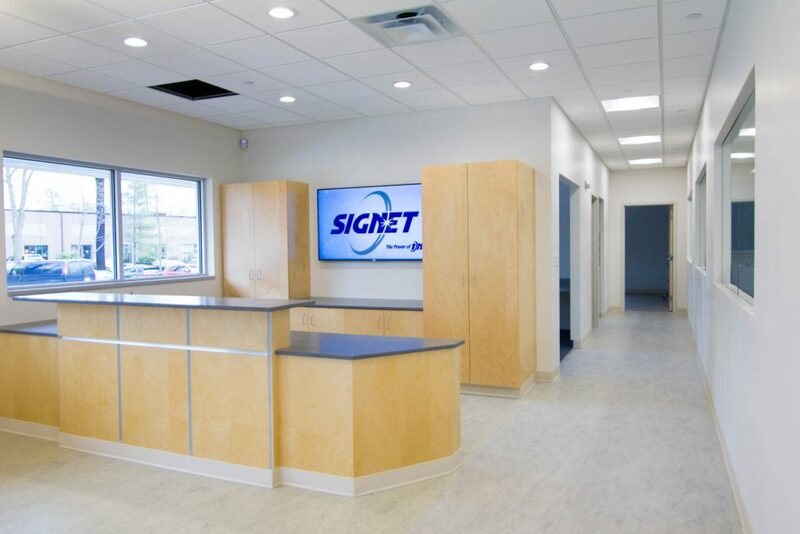 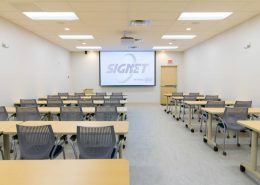 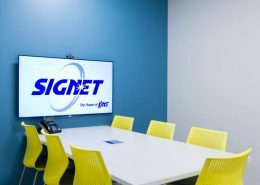 We incorporated value engineering early in the design process to maximize the value of SIGNET’s budget, creating a cost effective, yet new and modern, space in both the exterior finishes and mechanical systems. 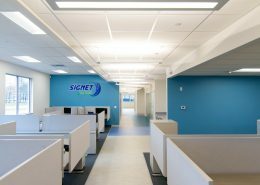 SIGNET, ArchDesign, and Callahan/Hoffman approached the project as a team, all working toward the same goal, resolving any issues onsite, and making detailed decisions quickly and efficiently to keep the project moving. 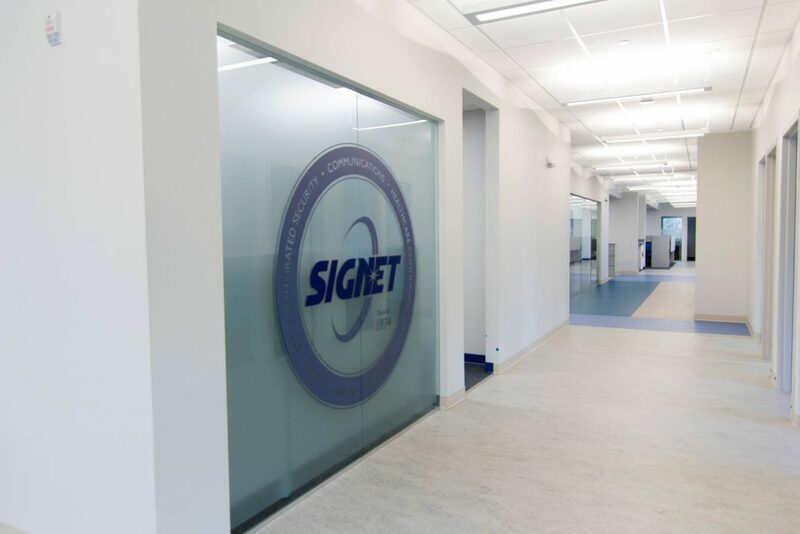 The design thoughtfully reflects the openness of SIGNET’s collaborative workflows, industry and culture, leveraging the use of windows and glass to “borrow” natural light. 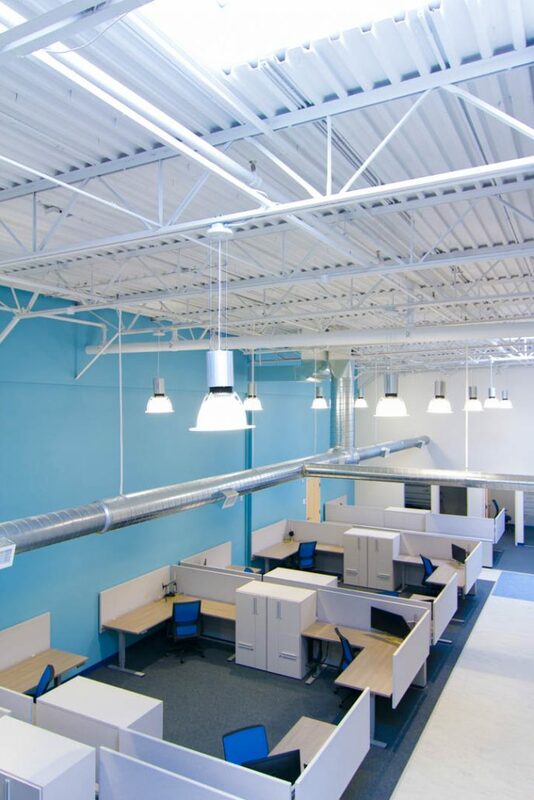 We wanted the space to be open, bright, light, non-confining and collaborative. 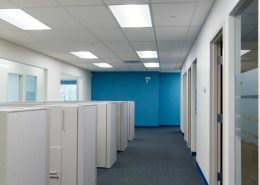 The industrial structure of the existing building (circa 1970) was closed, low and dark when we started. 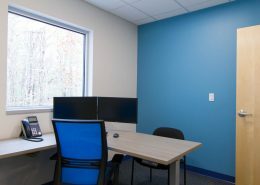 So the key to the whole design was the careful alignment of floor-to-ceiling sidelight glass in every office with large exterior windows. 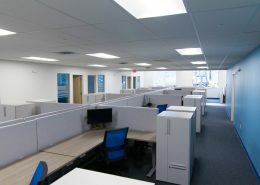 If you are standing in the café in the center of the building, you can see clear through two departments to the outside. 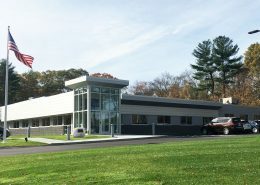 In addition, a four-by-eight foot skylight was installed to provide natural light to the interior engineering area, and a sixteen-foot glass entrance tower was added to bring a new look to the building’s exterior. 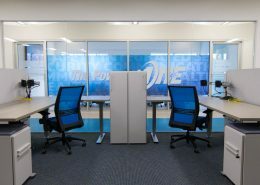 Color, high end finishes, and adaptive furnishings were used throughout the space contributing to the fresh, modern style. 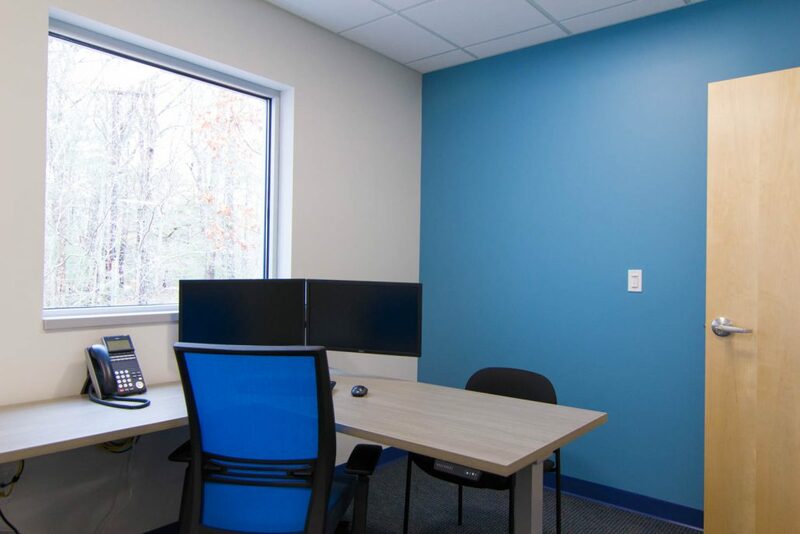 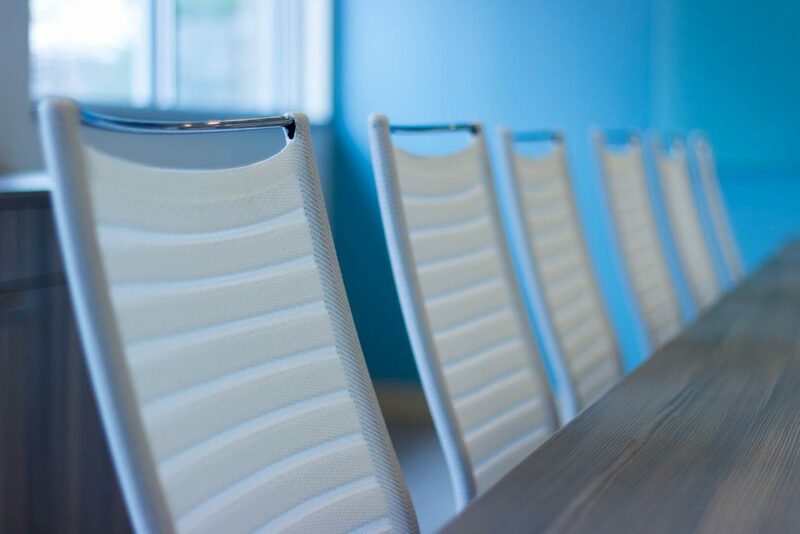 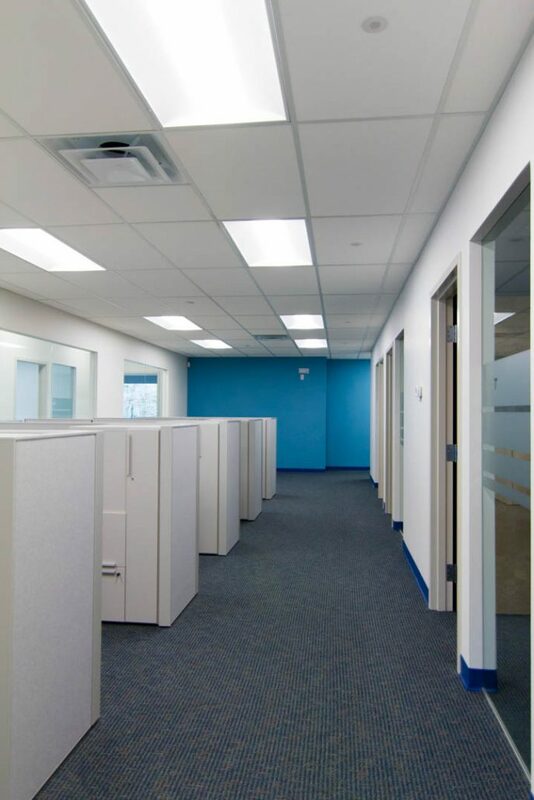 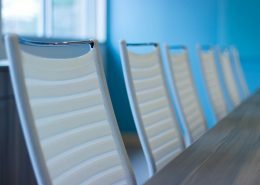 Light colors and accent walls brighten offices and create different areas of interest.